The university supports students' well-being in many ways. To help students transition to campus, they receive an email with information about health and wellness, typically before they arrive. Undergraduates also receive information about using health care services and other important topics at orientation. Parents are a primary source of health information and support for students, so this page offers suggestions for how you can help your student make a healthy transition to college. University Health Service (UHS) can provide most of your student's health care while they are at the university. Students pay a health service fee (included as part of tuition) that covers many services. For who and what is covered, see Free or Fees for Students. UHS provides services for non-urgent and urgent health care concerns. Language interpretation is available. To learn more about health care on campus, see How to Get Health Care. You may arrange for a physical exam with your student's home health care provider. At that visit, update immunizations, e.g. meningitis, HPV, flu and more (see recommendations). Students can also get immunizations at UHS for a fee. Make sure your student knows their health history, including current medications and any allergies to medications, foods, etc. Arrange for prescription renewals and/or a supply of medications to bring to school. Keep all medications in original containers. Contact the UHS Pharmacy (734-764-7387) about transferring prescriptions, if desired. If your student takes medications for Attention Deficit/Hyperactivity Disorder (ADHD), learn how they can get prescriptions at UHS on the ADHD webpage. If your student wears glasses or contact lenses, send a current prescription with them, in case a replacement is needed. Eye exams, contact lenses and glasses are available for a fee at the UHS Eye Care Clinic and Optical Shop. If your student receives allergy shots and wants to continue shots at UHS, you can arrange for a supply of antigen from their home allergist for delivery. UHS reviews and approves all treatment programs. For more information, call 734-764-8320 or see Allergy Shots. Know how health care works on campus. University Health Service (UHS) can provide most of your student's health care while they are at the university. Students pay a health service fee (included as part of tuition) that covers many services. For who and what is covered, see Free or Fees for Students. Your student should have health insurance to cover costs outside UHS (e.g. emergency room visits), as well as UHS services that are not covered by the health service fee (e.g. medication and immunizations). Inform them that your student will be away at college. Inquire about coverage in the Ann Arbor area, ask whether your plan has network providers here, ask how your student can use your insurance at university. Consider requesting an "out-of-area waiver" for your student's time at university. Provide copies of your medical and prescription drug cards (with policy numbers and billing addresses) and encourage your student to carry them. Talk with your student about decisions they are likely to encounter in college such as alcohol and other drug use, getting enough sleep, managing time, handling stress, exercising, eating, sexual behavior, hygiene (e.g., hand washing, covering coughs), and being financially responsible. Research shows that Parents Can Influence Kids' Drinking in College. You may wish to provide a Health Care Kit for your student and help them understand when/how to practice self-care and when to get medical advice. I'm Sick. What Should I do? Suggestions for Colds/Flu provides guidance. U-M offers a wide variety of Well-being Services.  If you would like help learning about U-M well-being resources for your student, you may contact Wolverine Wellness at University Health Service, 734-763-1320 or ContactUHS@umich.edu. The Collegiate Recovery Program provides a supportive community where students in recovery can achieve academic success while enjoying a genuine college experience, free from alcohol and other drugs. If your student is in recovery or is curious about recovery, please contact us. Students with disabilities needing academic accommodations or services should contact the Services for Students with Disabilities Office (phone 734-763-3000). Students wishing to receive services must register with this office. Disabilities include chronic health or mental health conditions, learning disorders as well as visual, hearing and mobility impairments. U-M is a smoke-free campus that offers support for quitting tobacco. Learn more at Smoke-Free University Initative. The U-M Parents Website offers important information and resources related to campus life. 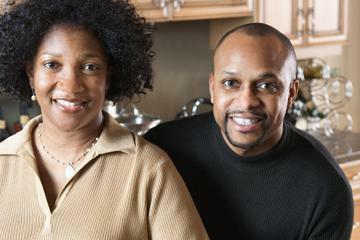 The Family Matters newsletter helps families stay informed.